The 26-year-old reality television star and mother-of-one took rumors of a possible pregnancy in her stride and set the record straight. 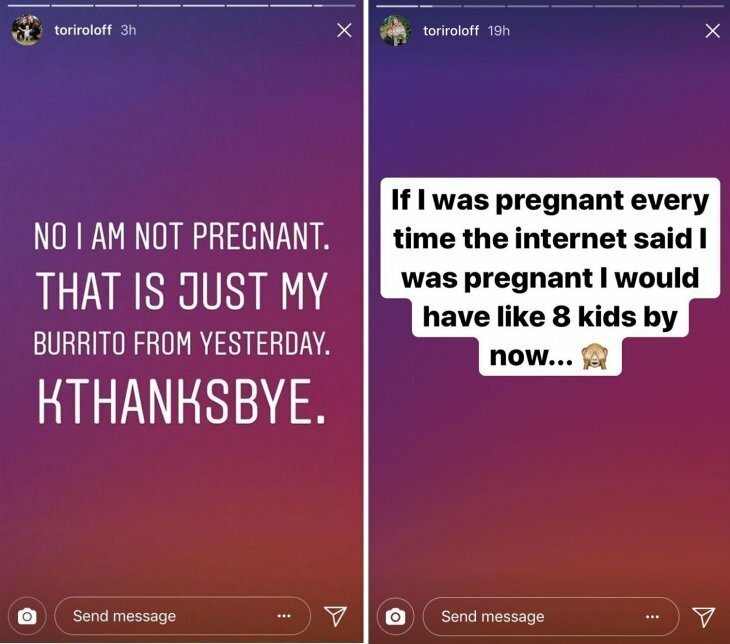 Tori Roloff took to Instagram Stories and explained that she wasn't pregnant, it was just "yesterday's burrito." She ended her message on a fun note by adding "kthanksbye." 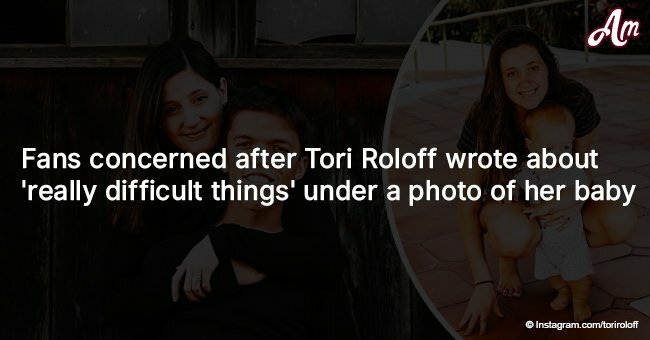 The photo that started it all was an adorable snapshot of Tori lying on the grass next to baby Roloff. She was holding her stomach and fans wanted to know if she was pregnant. In the caption, she wrote: "Picnic snuggles. Anyone else ready for summer?" The picture received more than 58,000 likes since it was uploaded in April. An Instagram user known only as Veronica thought Tori was announcing another pregnancy due to the way Tori "had [her] hands." 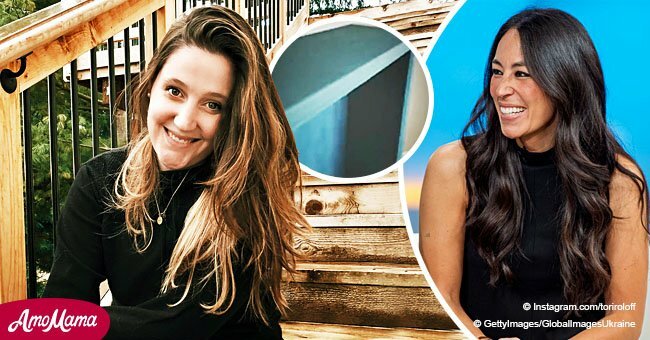 Mother Of Dragons said she was "ready for [Tori] to have another baby" while Crystal was dying to know if Tori was pregnant with baby Roloff number 2. Angela Hearden swooned over 'that baby belly.' Ashley Nicole said Tori and Zach make the cutest babies but Laurin told commentators to 'take a break' from the baby rumors. "Oh brother she can't even put her hands on her belly, and they think she is pregnant," she added, while another user, Sherry, said she could not "wait for another addition" to the family. 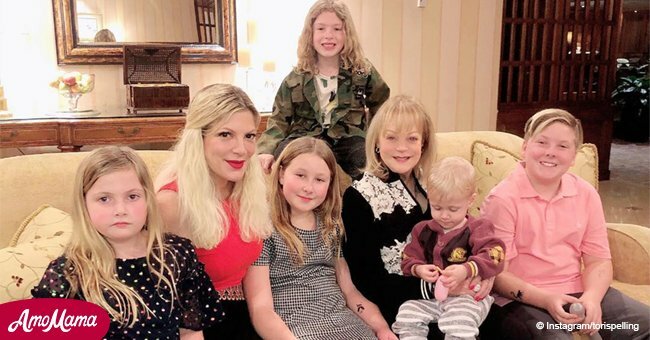 As reported by Intouch Weekly, this is Tori's second "suspected pregnancy" this year. In January, she shared a beautiful photo of Jackson spending time with proud papa Zack. 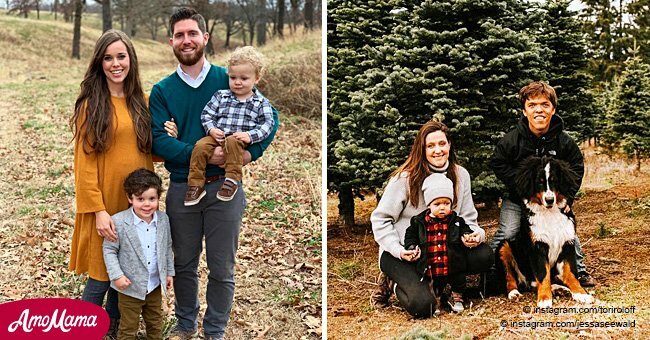 She explained in the caption that Zack "gets down and plays with his kids," and the word "kids" instead of the singular kid had fans looking for other possible pregnancy clues. Tori again took Instagram Stories to lay the rumors to rest. She simply informed her 718,000 followers: "If I was pregnant every time the internet said I was pregnant I would have like 8 kids by now..."